Our dogs make us happy and protect us. It’s essential that we do the same for them. 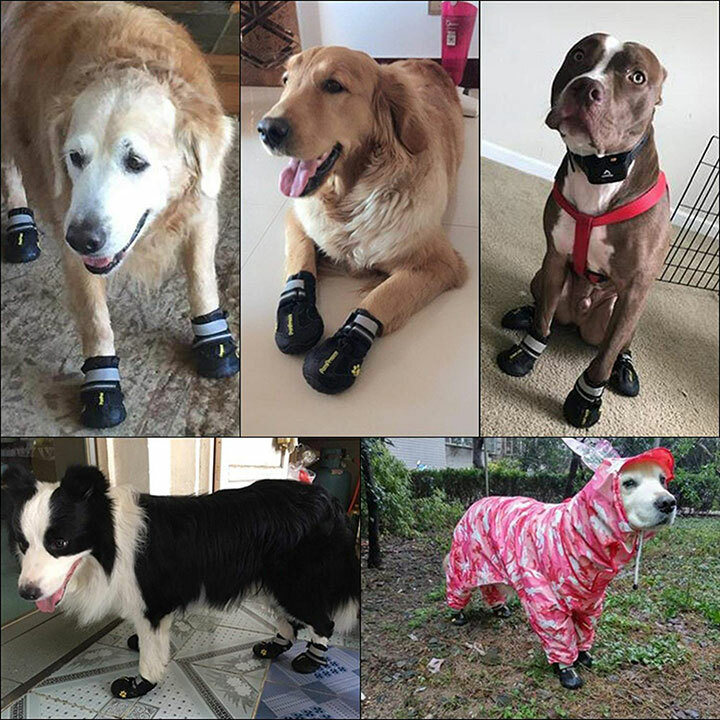 With dog boots, you’re able to prevent many injuries and help protect your dog’s paws. 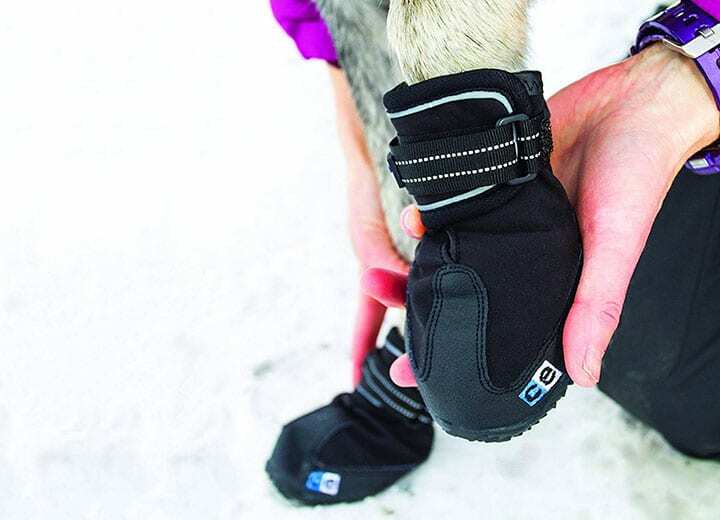 Dog boots are one of the most versatile dog products out there. 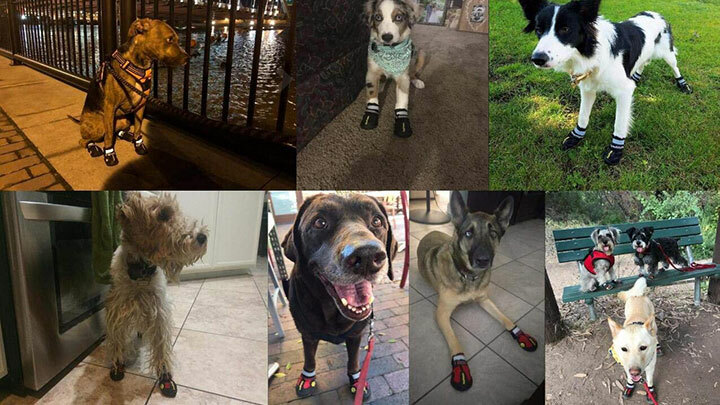 From protecting your dog against the scalding hot temperatures of asphalt in the summer to protecting their toes from salt and deicers in the winter, dog boots are a must-have! Not only do our adventure dogs need to worry about the temperature, but they have to avoid other dangers like sand burrs, rain, stinging insects, and chemicals like pesticides. My Dutch Shepherd is prone to allergies, and in the fall his paws swell-up and itch from allergies related to plants. He chews his pads relentlessly. He needed boots to keep from injuring himself. 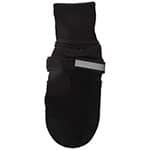 Dog boots are also great if your four-legged hiking companion needs extra support for his joints. 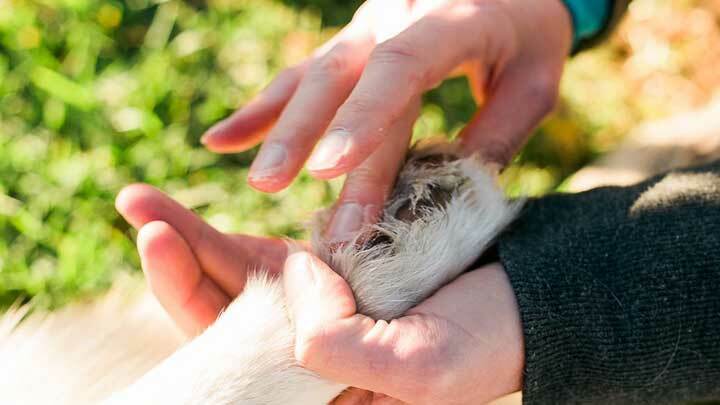 Many dogs with arthritis drag their paws—boots can help protect their feet from damage. There are a lot of dog boots out there. 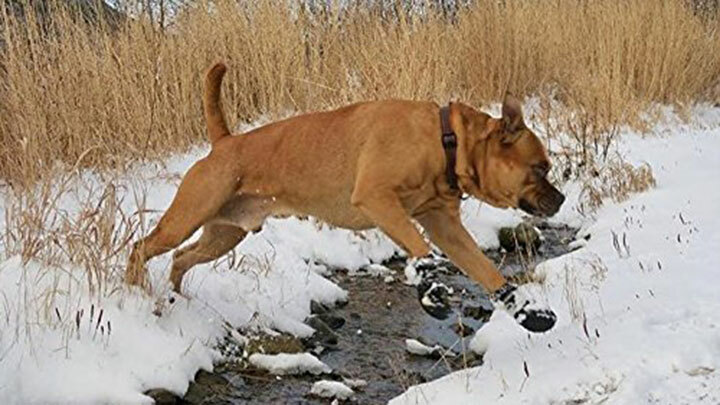 Finding the right boots for your pup and the activity you’ll be taking them on is important. Our list will cover boots for hunting, hiking, extreme conditions, and for specific terrain. 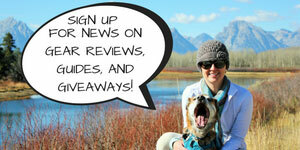 First, you want quality boots that your dog won’t destroy after just a couple of walks or hikes. You also want to make sure you get the right shoes for the adventure. For general boots, you’ll want to make sure that the materials are correct for the season or adventure. That the shoes are flexible so they feel more natural for your dog, that the straps to keep them on their feet are sturdy and adjustable. And that the fit is correct. Fit is essential because the last thing you want to do is have to retrace your dog’s steps for a lost boot. Snowy winters come with a long list of reasons your pup’s pads need protection. The cold temperatures of the ground in winter can be both uncomfortable and dangerous to dogs. 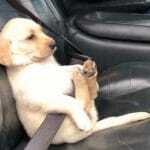 Road salts and deicers can collect between your dog’s pads or in his fur. If your dog gets home and licks off the chemicals used to deice the road or sidewalk, he could get sick. Many common deicers are toxic for dogs. So, what should you look for in winter boots? 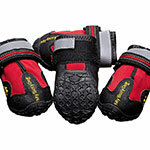 You will need boots that have textured soles to prevent your pup from slipping. The boots also need to be waterproof or water resistant. Unvented boots work better for keeping out snow and water. Rain can really put a damper on walks or hikes for dogs. Water tends to soften up their pads and make them more susceptible to thorns or burrs. When looking for rain boots for your dog, make sure they’re not vented and are waterproof. 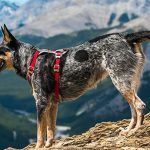 If you have a dog that spends most of his time on the sidewalk or in the grass, you’ll want to consider boots if you’re taking him hiking. Our dogs’ pads build up callouses over time and if they aren’t used to rocky terrain or don’t run on it enough, they’re at risk for damaging their pads. Boots are also a must-have if you’re going on an extended hike. Hiking boots are designed with thicker rubber and extra grip. They usually have tighter straps and more durable material. Whether you have a Coonhound, a Beagle, a Pointer, a Labrador Retriever, a Foxhound, or a Catahoula, hunting dogs are some of the toughest canines out there. They need tough boots to protect their feet and keep them at the top of their game. 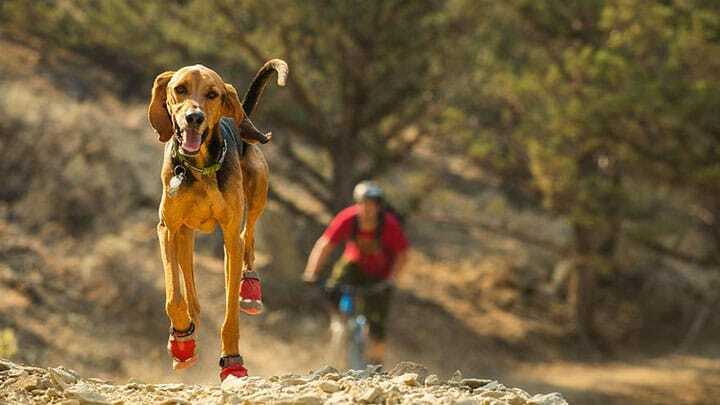 These boots are made so your pup can join in any extreme adventure you’re up for. They have Vibram soles, which some of the best human boots have. They are breathable, yet made to keep dirt and other irritants out. 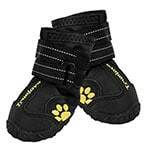 You can order packs of two to make sure you get a proper fit for front and back paws. 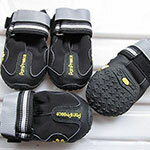 These rugged shoes will ensure a slip-free walk or hike for your dog. 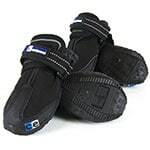 They are built for outdoor adventures and are water resistant to keep your dog’s feet warm and dry. They have a reflective strip to help with spotting your dog at night. Not only are they great for cold weather, but for hikes too. They come in eight sizes to accommodate all the pups craving an adventure. QUMY’s waterproof boots are sturdy while being flexible. Their tough rubber sole will prevent thorns or burrs from slowing your dog down. 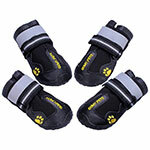 The upper material is also water resistant to keep your pup’s paws super dry. These are also lightweight so they’re wonderful for indoor use for dogs that slip on tile or hardwoods. 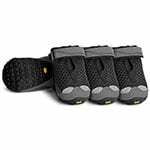 Ultra Paws Durable Dog Boots are some of the most versatile boots for dogs. They are durable (chew-proof) and water resistant. They have specially designed soles that are skid proof and flexible. These also perform in hot or cold weather. And they’re machine washable. Muttluks are durable and some of the warmest dog boots you’ll find. They are comfortable and stretchy, in addition to being adjustable and secure. The reflective strap is great for visibility at night. They have a leather sole for durability. They are also washable, but the leather needs to be treated after washes. If your dog is a cold weather Expawlorerer, then these boots are for you. They are specially designed for warmth and protection against slipping. 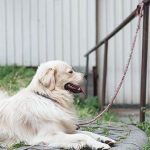 Their sizing guide will also suggest breeds that fall into each size range, for example, size 2 is great for Pugs or West Highland Terriers while they suggest size 8 is great for German Shepherds or Burmese Mountain Dogs. Canine Equipment Ultimate Trail Dog boots are some of the best boots for hunting and hiking dogs. 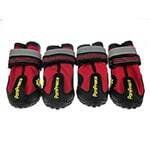 They have tough rubber soles that will protect your dog from sharp rocks, burrs, snow, and hot pavement. They are water resistant, but breathable, and one of their best qualities is that they size the front shoes differently than the back shoes. These waterproof shoes are great if you have a dog that loves to hike. 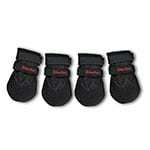 Their extra-thick soles will protect your dog’s paws from sharp sticks or thorns on the trail. They are breathable and secure tightly with two straps. They also come in eight sizes in three different colors. Colorfulhouse had outdoor adventure dogs in mind when they designed these boots. They have reflective straps for night walks or hikes, and non-slip rubber soles for wet conditions. The design is also sporty and cute. These snow boots are absolutely adorable! 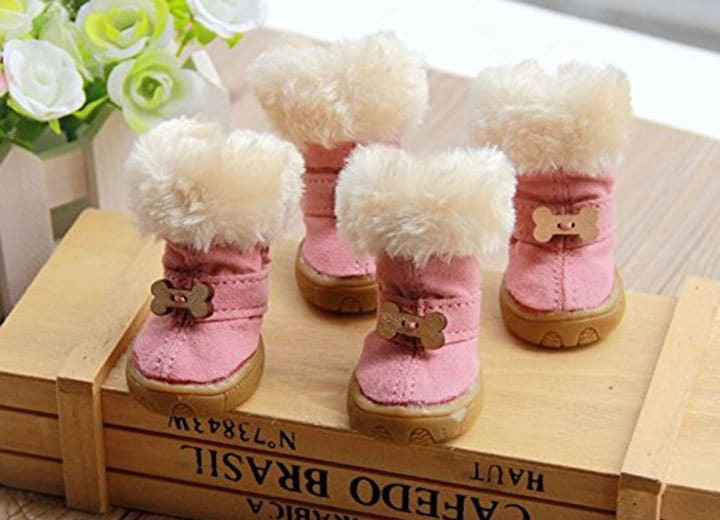 They have rubber soles to prevent slips and are Sherpa-lined for extra warmth for out tiniest furry friends. They also will keep your dog’s paws dry in the winter. Ok, so your dog absolutely won’t keep their boots on, don’t worry there are some options that can help. These boot-alternatives may not be as protective as boots, but they can be a great option for day-to-day walks, or if your dog has an injury you don’t want to get worse. Musher’s Wax is a trusted product to help fight the effects of high or low temperatures, ice, or salt. The formula has vitamin E and helps prevent dryness. 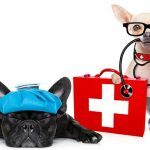 It’s a best-kept secret for dogs with hyperkeratosis. 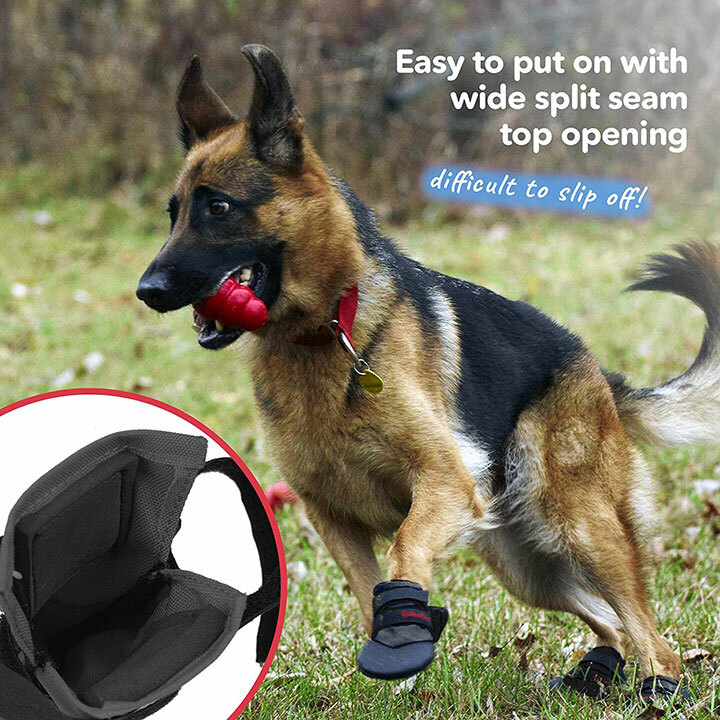 And this product helps keep your dog from slipping and possibly injuring himself. Max and Neo paw and nose balm soothes cracked noses and paws. Not only is it effective for soothing irritation, but it is an anti-inflammatory, antibacterial, and antiseptic. And one of the best things about this product is that for each one sold, one is donated to a rescue dog! Tuf-foot helps to prevent bruises and soreness. 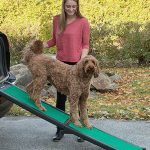 It’s great for dogs that are just starting to get conditioned to the elements or hiking. Let your dog smell them and look at them before putting them on his feet. When you’re first getting your pup used to them, they should wear them daily for about an hour over the course of a week. Always give your dog positive feedback so they don’t feel silly or uncomfortable. Give them treats when they ignore the boots or shoes. 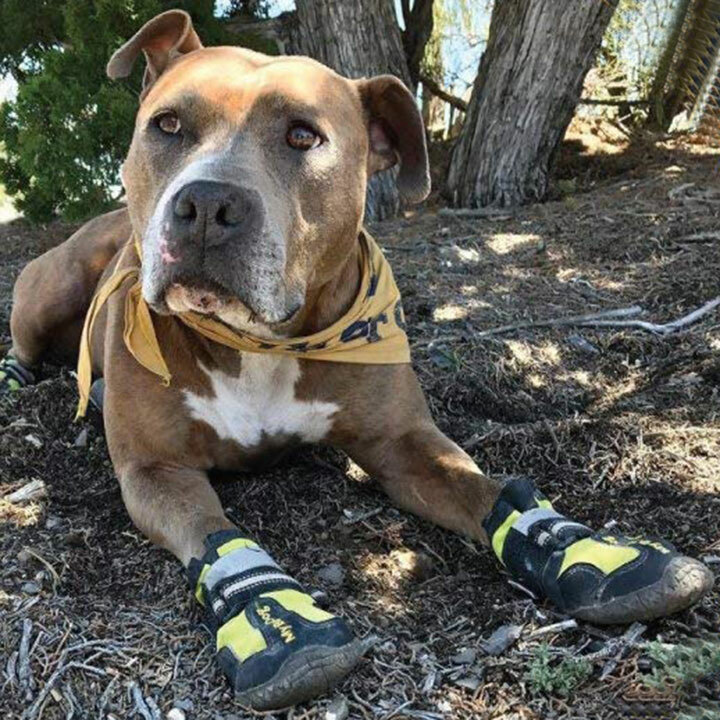 Remember when you’re hiking with your dog, to take the boots off after at most 5 hours of wear to check the condition of their feet. Our dogs sweat through their paws, and you want to make sure they’re not getting blisters or having other issues. Excellent research oriented article, It saved my time, I have picked the Xanday booties.